The Tatra Mountains, Tatras or Tatra, are a mountain range which forms a natural border between Slovakia and Poland, and are the highest mountain range in the Carpathian Mountains. The Tatras should be distinguished from another Slovak mountain range, the Low Tatras, Slovak: Nízke Tatry, located south of the Tatra mountains. Sometimes, Tatras is a term used for either or both ranges. The Tatra mountains occupy an area of 785 km², of which about 610 km² (77.7%) lays within the Slovakian border and about 175 km² (22.3%) on the territory of Poland. The highest peak called Gerlach, at 2,655 m (8710 ft) is located north of Poprad. 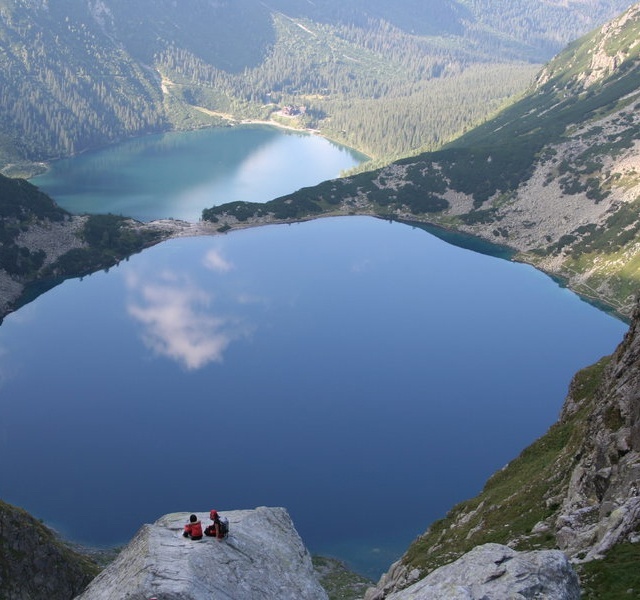 The highest point in Poland, Rysy, at 2,499 m (8200 ft) is located south of Zakopane.